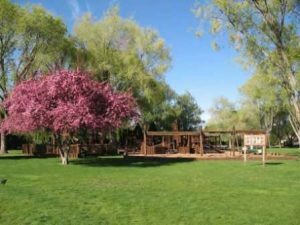 This 2.54 acres park is located along Ochoco Creek, and west of Ochoco Creek Park. Stryker Park is owned by the City of Prineville and maintained by Crook County Parks and Recreation District. Facilities at the park include a gazebo with power, picnic tables, open lawn space, trees and rock areas. There is a dry stream bed that flows through the park.